The campaign alone could persuade me to buy this perfume, and left to my own devices I collect perfume bottles without using a scent more than once. 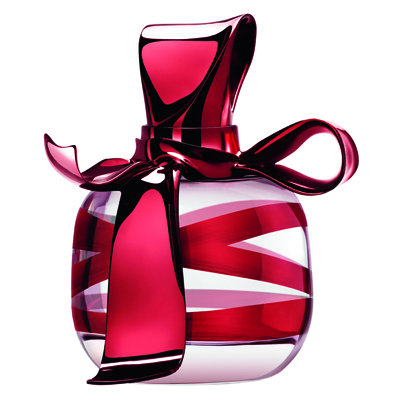 Wrapping a red ribbon around the eiffel tower seems deliciously mysterious, like the perfume is supposed to be. For the inner minx lurking beneath the surface of a cool and confident demeanor, the limited edition Ricci Ricci Dancing Ribbon is a captivating scent. 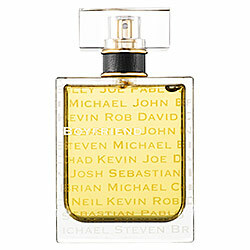 The bottle itself is a tribute to couture, and the scent it encases is a tribute to the feminine mystique. This entry was posted in Beauty, Must Have, Pick of the Week, topshots and tagged Limited Edition fragrance, Nina Ricci, Pick of the Week, Ricci Ricci Dancing Ribbons Perfume on 04.18.2011 by Chanelle Sicard.